In an effort to record our many and varied nature experiences, we’ve created quite a few themed natural journals since I started this blog – including a backyard field guide, a bird book and a family adventure journal. But none have had much staying power. 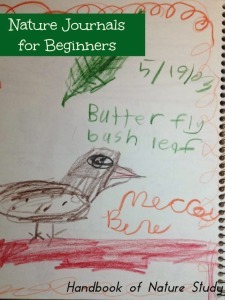 Which is why I’ve asked my nature friend, Barb of the Handbook of Nature Study, to stop in and share her sage advice on nature journaling with kids. I hope you’ll find her thoughts as helpful as I do. Keeping a journal has long been a way to record personal thoughts, experiences and ideas. A nature journal does all those things in a way incorporating outdoor experiences to create a personal expression of time spent in nature. Keeping a simple nature journal should be something your children grow into as they experience nature and then want to keep a record of their thoughts and experiences. It can be as simple as a quick sketch, a caption and the date. One word to describe something they heard. Two words for something they saw. Three words for something they felt. Have them write those words in their journal (or you can if they are too young) and then make a sketch of something they found interesting from their outdoor experience. What Else Goes Into a Nature Journal? Field guide information for the subject. If you need more ideas or want something for advanced students, check out my free Nature in Your Notebook printable. 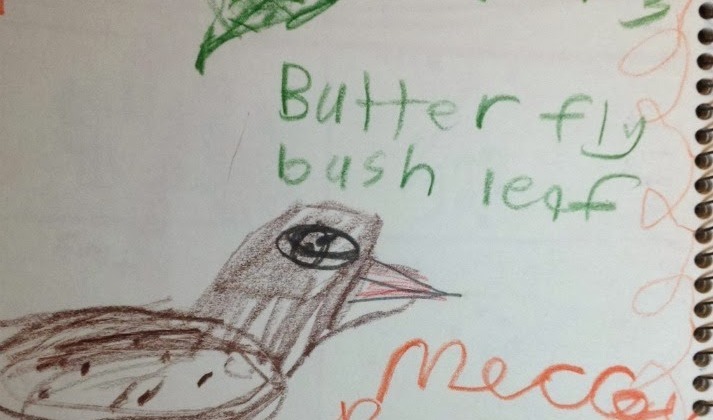 If you child doesn’t want to make a nature journal, don’t insist they do just to please you. The journal should be offered, but it is up to the child whether to participate. I found my children are more apt to journal if I do, so I keep my own nature journal and model how to do it. Express the idea that there is no right or wrong way to keep a nature journal. 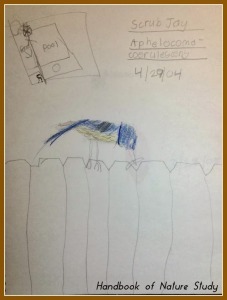 Remember that nature journaling is something that can become a lifelong passion. It is built on lots of outdoor experiences and can enhance the experience by helping your child slow down enough to really see the marvels in the natural world. Focus on the journaling experience as a pleasurable way to keep track of all the fun things you have done together as a family in the great outdoors, whether that is in your own backyard, neighborhood or far from home on a road trip. 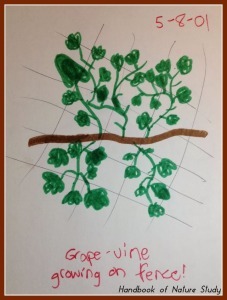 John Muir Laws Blog: Super ideas and tutorials for nature journalers. Nature Journals on Pinterest: Follow this board for a variety of ideas for journal pages. Barb McCoy (harmonyfinearts@yahoo.com) blogs at the Handbook of Nature Study where she shares her love of the outdoors and the adventures she takes with her children and husband – whether it is hiking in the Sierra, adventuring the national parks of the west or marveling in the awesome creation in their own backyard. Thanks for letting me guest post here on your wonderful blog. I hope it encourages families to get started with a nature journal soon.